I've just come back from my first visit to the small-but-perfectly-formed East Anglia Bluegrass Festival. 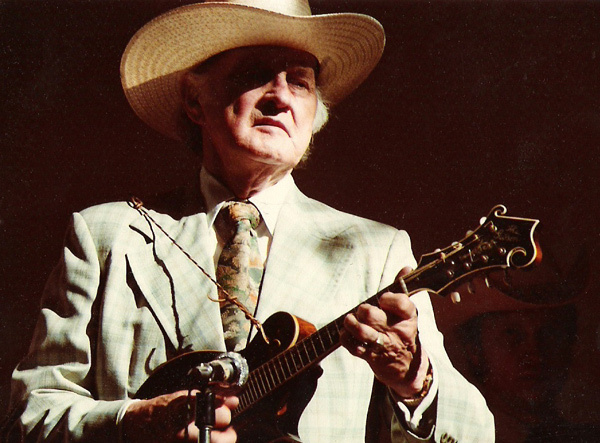 During the weekend several bands performed a gospel song made famous by the late, great Bill Monroe - The Old Crossroads. As a DIY Income Investor, I use yield as the basic signal for my investment decisions. But yield is a potentially dangerous tool: it is Mr Market's version of The Old Crossroads - marking the battle between fear and greed. A high-yield share (or bond) can flip either way - to destruction (of your capital) or to the Pearly Gates of financial salvation. Of course, this can happen with other securities that do not pay an income - but they are (I believe) much harder to spot. With yield you are using the hundreds or even thousands of market actors to highlight (and flag up) potentially risky - and therefore potentially rewarding - investment decisions. And so it is with our subsequent decisions, once we have bought these stressful holdings. One of my purchases from just a year ago - SLI (Standard Life Investments Property Income Trust) - has run up a thumping 33% capital gain. It still has a lovely 6.0% yield, although this is not covered by net income, which should be a major danger signal; but I am reluctant to give it up just yet. However, I have to admit that the large pile of paper Pounds sitting on the table, waiting to be grabbed, is very tempting. So nearly every day we stand at a metaphorical Old Crossroads: with a decision to buy, sell or hold. Inevitably some - probably many - of the decisions will be wrong. However, with care and a bit of research work we can minimise the bad decisions and gain rewards from the - yes, sometimes lucky - good decisions. On a 13% premium to assets, you're paying more than two years' yield more than book value. And investments that are valued on their yield alone are likely to underperform in an environment of increasing interest rates, unless there's good underpinning from either discount to book, or low price earnings ratios. I'd get out now, since there appears to be limited upside and a potentially quite large downside.